This is a Double sided embroidered flag with with the name section sewn onto the flag This is not a printed flag but a very high quality sewn and embroidered flags with gold fringe and sleeve for flagpole. 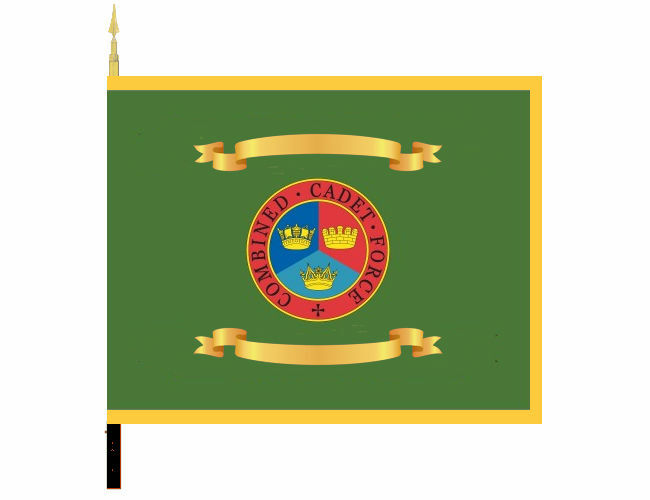 CadetsUK can help with the design of this flag and send proofs before starting the process. 25 years warranty on this type of flag.